WPI’s MS in Supply Chain Management, a STEM designated degree, prepares students for a career in managing the global demands, distributions, and fulfillment of goods and services. The MS in Supply Chain Management provides students the skills and hands-on project management techniques necessary to design and manage an effective supply chain. As a global economy offers more opportunities for goods and services to move across continents on a daily basis, it also increases the challenges of managing the forecasting and flow of products, information, and capital. As each of these factors can impact an organization’s profitability and overall customer satisfaction, professional training in supply chain management becomes an essential part of a company’s leadership team. The MS in Supply Chain Management can be completed on a part-time or full-time basis and includes an intensive analytical curriculum and a distinctive Graduate Qualifying Project (GQP). Core coursework, offered online and on campus, offers a practical foundation in the multidisciplinary factors that influence how a supply chain is managed, analyzed, and designed. You’ll examine how various factors and technologies impact the three flows (material, information, and capital) of a supply chain and will learn the skills needed to manage materials, data sources, marketing tools, and disruption/risk. The GQP offers a supply chain consulting project through an industry partner. Tuition is based on the current curriculum for the MS program which is 36 credits. The current price of tuition is $1,566 per credit making the total cost for the program $56,376 in tuition only. For more detailed information on tuition – including fees – please visit the complete breakdown of costs on the Financial Aid page. 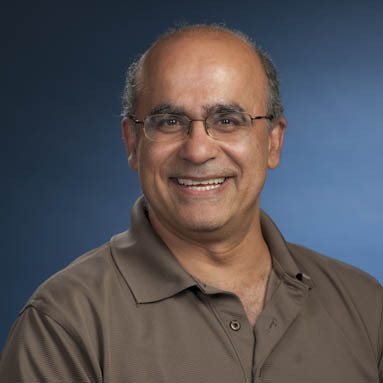 Joseph Sarkis has been a faculty member at WPI since July 2013. He previously served as a faculty member at Clark University and the University of Texas at Arlington. His teaching and research interests are in the fields of operations, supply chain management, and sustainability. He is the author or co-author of over 400 publications. His research is widely cited and earned the designation of highly cited researcher in 2016, 2017, and 2018 from Thomson-Reuters/Clarivate Analytics (Web-of-Science). Since my first day of teaching, I believed that I loved being in the classroom. I enjoy my role as an instructor because it enables me to see directly the outcome of my effort. I like the fact that as someone in higher education, I have the opportunity to make a positive influence on a young person's life. I make every effort to not only deliver the material of the course, but to develop a mentoring relationship with each student to help them grow as individuals and strive for success. The MS in Supply Chain Management program gives the skills and practical experiences necessary to begin developing a career in the rapidly growing supply chain management field. An excellent and plentiful job market, especially those of international scope, means graduates can begin to take on leadership positions early in their careers including roles as a supply chain technical analyst, commodity manager, director of purchasing, performance improvement senior manager, or director of supply chain operations. Industries in need of supply chain managers include manufacturing, transportation, retail, government, education, and technology. Undergraduate students interested in WPI’s MS in Supply Chain Management may choose to earn an advanced degree in accelerated time with the BS/MS degree option. For more information about the requirements for this MS, contact the Graduate Admission Office of the Foisie Business School. Generally, students submit the online graduate application in their junior year (choose the BS/MS program and then Supply Chain Management on the application) and may talk to an advisor about double counting any credits for the BS and MS in senior year.